Place the cauliflower, celery, garlic and chicken stock in a saucepan. Then, add enough water to cover. Bring to a boil over medium-high heat on the stove top. Cook until softened. Drain the liquid and then add the milk, butter, cream and salt. 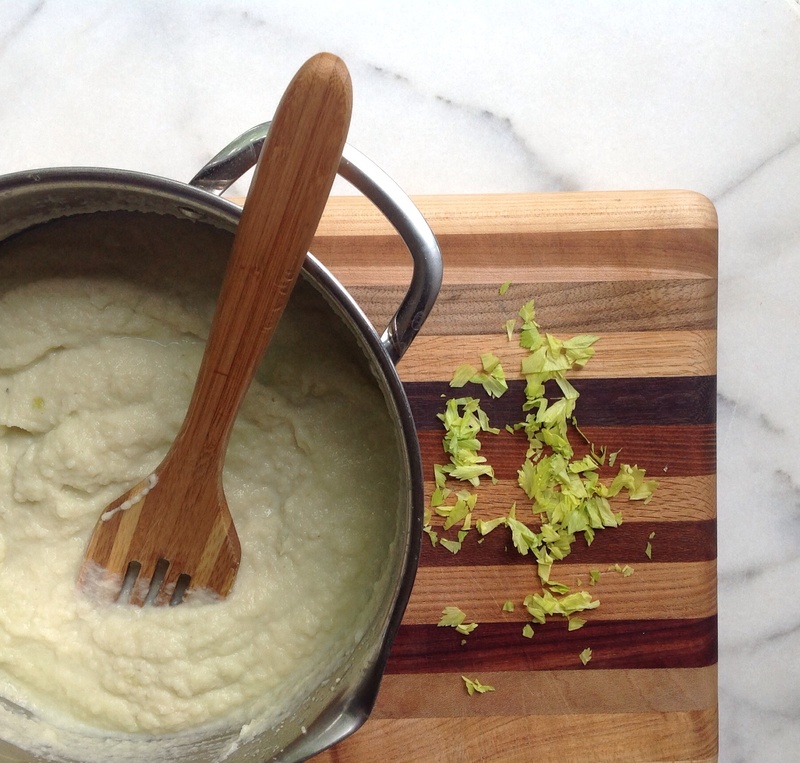 Using an immersion blender (food processor or blender), puree the cauliflower mixture until it is creamy and smooth. Top with chopped celery leaves and serve warm. This entry was tagged cauliflower, cook, Creamed Cauliflower, creamed cauliflower recipe, creamed cauliflower with garlic and celery, creamy cauliflower, dallas food blog, dallas food blogger, pureed cauliflower, quick cauliflower recipe, quick vegetable side, texas food blog, texas food blogger, use for celery leaves, vegetable side, weeknight vegetable side. Bookmark the permalink.